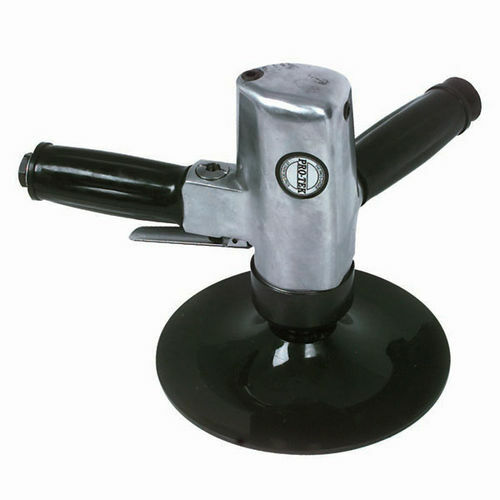 The vertical sander 9166 is a pneumatic tool that features a 9128 7" fiber disk and the speed of 4,500 RPM. It is equipped with a 1/4" NPT air inlet and operates at 90 PSI air pressure with the air consumption of 6 CFM. The entire unit weighs 2 kg or 4.4 lbs.